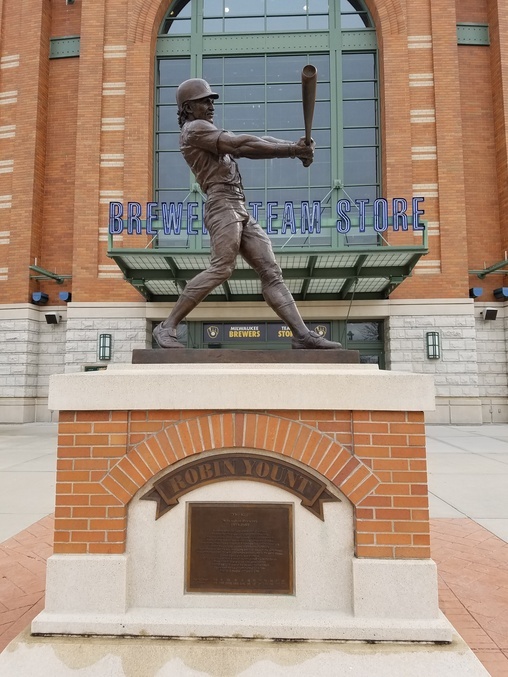 I haven't been back to Wisconsin (my home state) for nearly a decade. The last time I was up there, it was for my father's wake (no need to apologize, I hated the man with an undying passion. I only went because he had the good graces to conceive me in the first place). 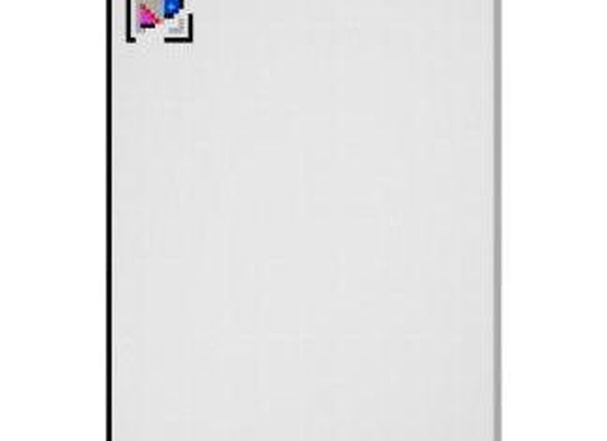 I'm not much of a family man, but I do have a soft spot for nostalgia, and a sudden desire to warm someone's cockles. So I made a plan with my two brothers (both married, both successful -- unlike someone we know **points finger at self**): I would fly up to Chicago, rent a car, and drive to my hometown (after taking a couple days to soak in the scenes in Chicago and Milwaukee which I haven't visited in almost as long), and surprise my mom with a lunch that included other people she hadn't seen in a while. First off, plan successful. My mom almost had a heart attack at the three surprises: First was my younger brother being there. He lives in Ottawa, Illinois. The second was my aunt and her best friend in the world, who lives in Milwaukee. The third was me, who she hasn't seen in seven years. I didn't cry, but the whole thing made me want to move back. Now enjoy some photos I took during my trip. 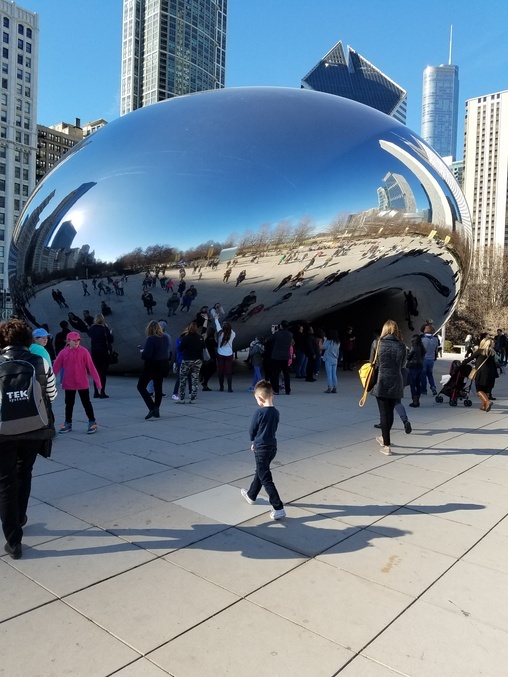 The ubiquitous giant, inedible chrome bean near the Chicago Art Museum. 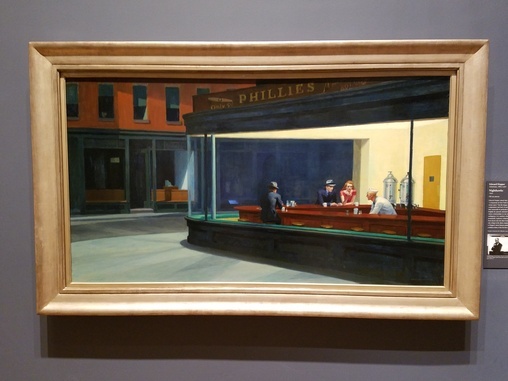 One of my favorite pieces at the museum. 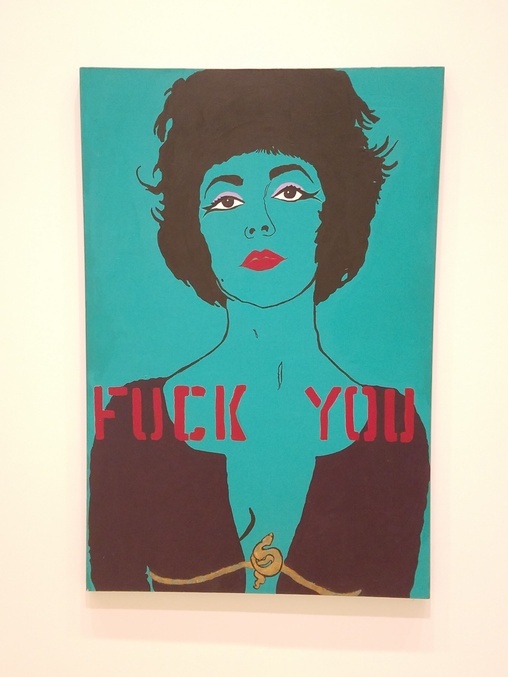 I don't know what this is, but it speaks to me. Yep. 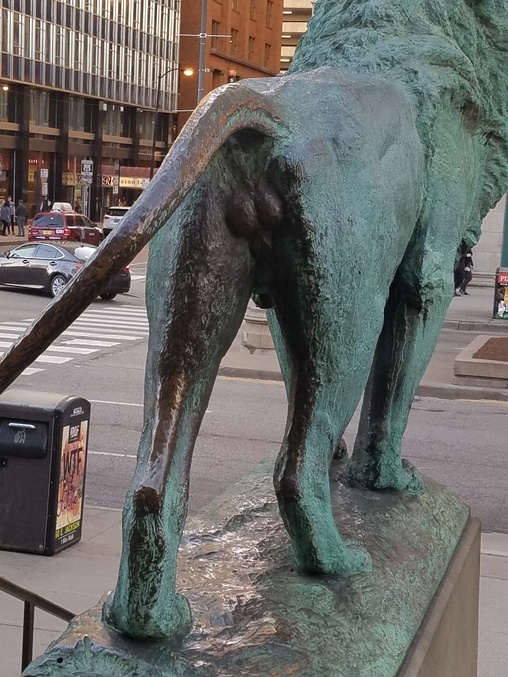 Those are lion balls. 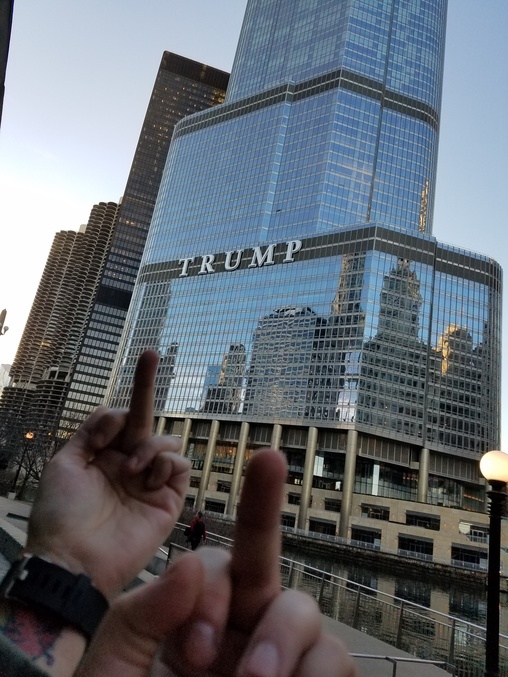 I asked a random passerby to take a pic of me outside of the Trump Hotel, but instead had a better idea. 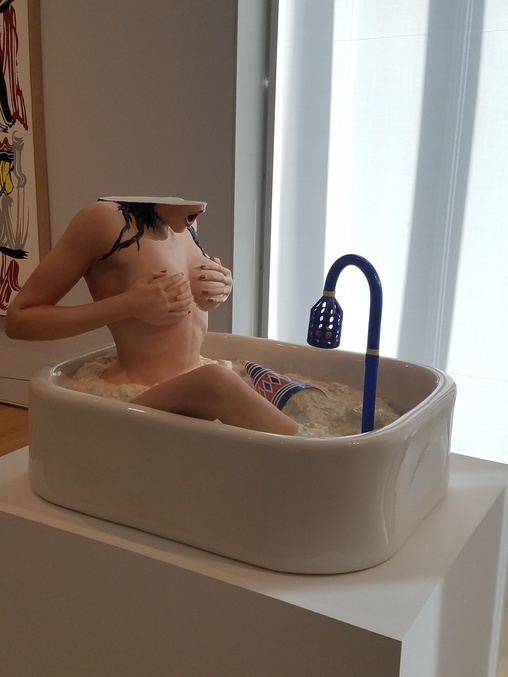 The Art Museum in Milwaukee. Closed for President's Day, so I didn't get a chance to go in. 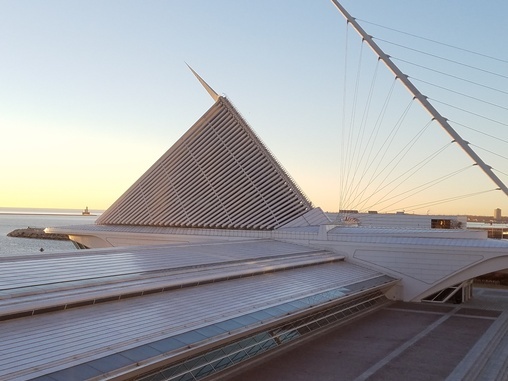 Outside of the grounds for the Milwaukee Art Museum. 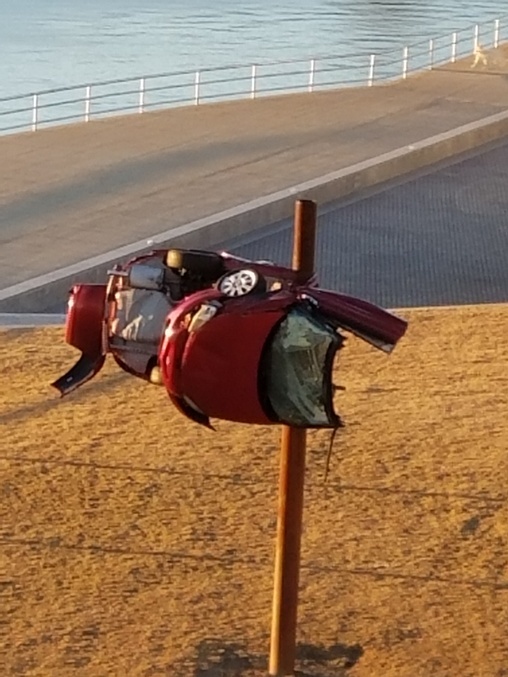 Is it art or a warning? 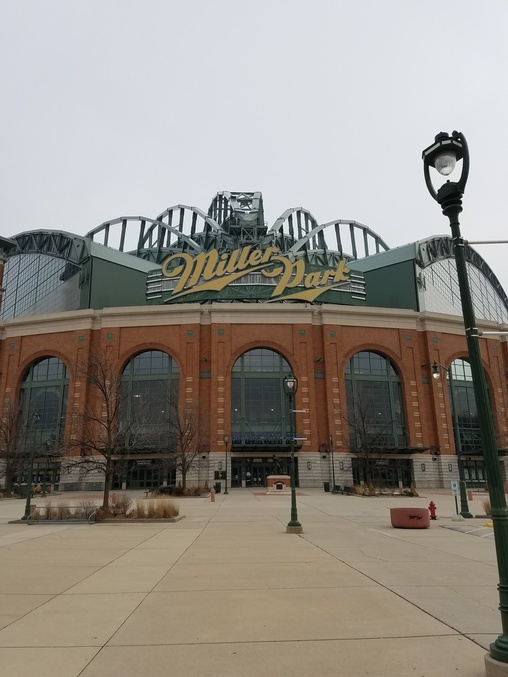 I walked around Miller Park (which I've never seen up close). Also closed for the season, but there is a restaurant open. I declined. Final pic. 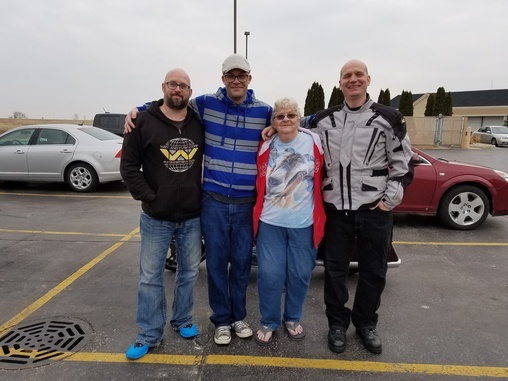 In order from left to right: Me (you know, the ugly one), my younger brother (married, 2 kids), my mom, and my older, half brother (married, 2 kids). @cessie between that and the lion balls, it was tough to choose a favorite, but you're right, the Trump Hotel one wins out.